True to our penchant for secluded, wild places, we set up our dive school in Chidiyatapu ("Bird Island") in 2012. A 45-minute drive from Port Blair's Veer Savarkar International Airport (IXZ), ChidiyaTapu Village is a nature lover's paradise. 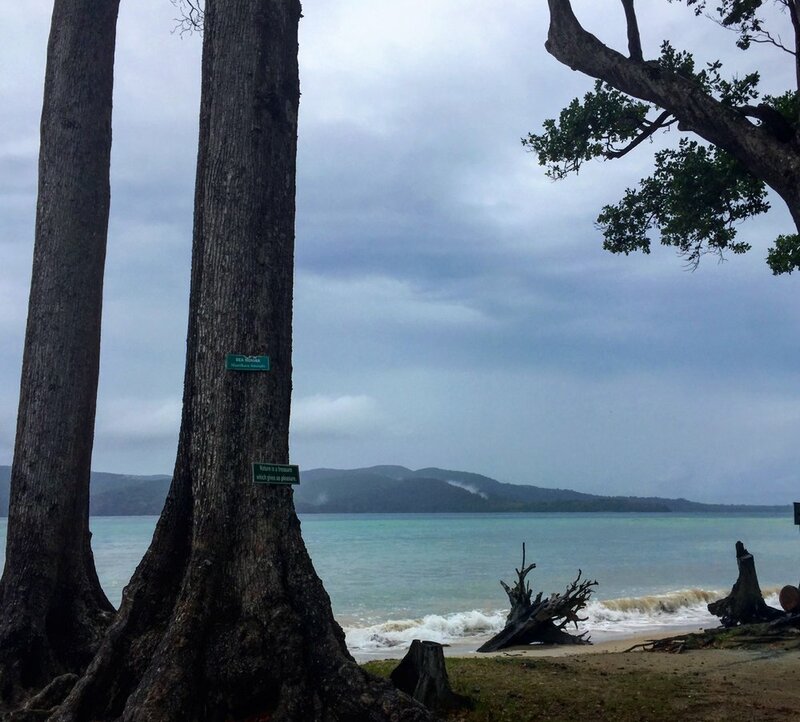 Old growth tropical rainforests, brackish mangrove swamps, beaches and coral reefs that abut the Mahatma Gandhi Marine National Park are minutes away from our dive school. So other than SCUBA diving or snorkeling, you can hike through virgin forest, stroll along the beach, or simply lie on a hammock with a book on our lawn. In the evenings, you can take in the spectacular sunsets, which we believe are the best in the world. Our partner, Reefwatch Marine Conservation often conducts educational walks and discussions centered on island ecology, so you can take some lessons from the islands with you when you leave. We usually arrange for airport or jetty pick ups/drop offs for our guests. Although it is possible to get to Chidiyatapu from Port Blair via public transport (rickshaw or bus), these are less reliable. To get to the Andamans, you can fly into Port Blair’s Veer Savarkar International Airport (IXZ) via any of the major Indian cities - Mumbai, Bangalore, Calcutta, Chennai or New Delhi. If you’re coming into Port Blair via ferry from another island, we can arrange for transport from there as well.